Square Enix has announced that nine games from the legendary Final Fantasy series will release on Nintendo Switch, news that was shared in this week’s Nintendo Direct presentation. As expected, Final Fantasy XV Pocket Edition HD is now available on the Nintendo eShop, with several other games to break their PlayStation console exclusivity for the first time. That includes Final Fantasy VII, Final Fantasy IX, Final Fantasy X / X-2 HD Remaster and Final Fantasy XII The Zodiac Age. While the other games that are coming are World of Final Fantasy Maxima, Chocobo’s Mystery Dungeon Every Buddy! and, as announced earlier this week, Final Fantasy Crystal Chronicles Remastered Edition. If you’d like a more light-hearted play through of the latest in the line of Final Fantasy titles, explore the world of Final Fantasy XV with a cast of adorable characters in Final Fantasy XV Pocket Edition HD. If you want a crash course on what Final Fantasy is all about, as well as the chance to meet many of the heroes from different Final Fantasy games in one place, then Worlf of Final Fantasy Maxima is for you. Embark on a magical journey with siblings Reynn and Lann as they explore the vast land of Grymoire to rediscover their past and save the future. With charming and stylised visuals, you can capture, customise and evolve iconic creatures by stacking them to form adorable yet strategic monster towers. New characters from Final Fantasy lore (Champions) and monsters (Mirages) add even more fun and excitement to this unique adventure in World of Final Fantasy Maxima. Chocobos don’t just kick, and aren’t just cute. Take one step forward and change the world in this spectacular return to 2007’s Final Fantasy Fables: Chocobo’s Dungeon, specially designed for new gaming systems. Final Fantasy IX tells a grand story of love, war and betrayal. Zidane and the Tantalus Theater Troupe have kidnapped Princess Garnet, the heir of Alexandria. To their surprise, however, the princess herself yearned to escape the castle. Final Fantasy X absolutely lit up the sixth generation of consoles with stunning production values, including gorgeous graphics, a stunning soundtrack and a moving story. 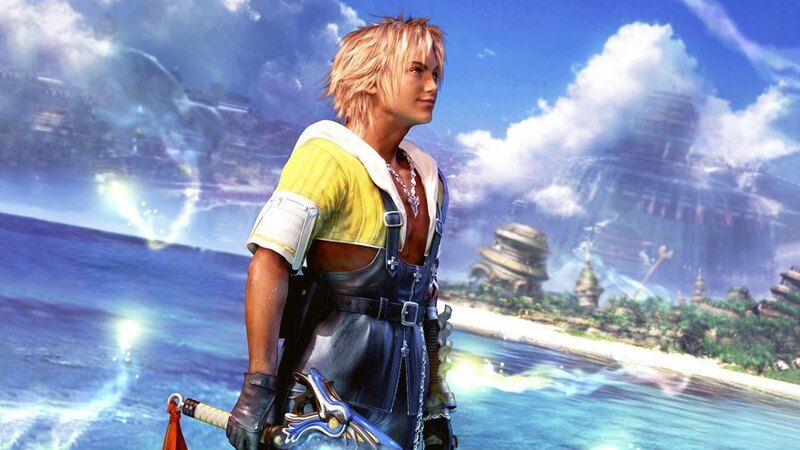 Final Fantasy X tells the story of a star blitzball player, Tidus, who journeys with a young and beautiful summoner named Yuna on her quest to save the world of Spira from an endless cycle of destruction wrought by the colossal menace Sin. Princess Ashe, the one and only heir to the throne, devotes herself to the resistance to liberate her country. Vaan, a young man who lost his family in the war, dreams of flying freely in the skies.